There’s some debate today on whether to include alternate vehicle choices in your email responses to leads. Some OEMs demand it; and many internet trainers tout it. In fact, the default processes in the expensive CRMs include some random automation that adds “similar vehicles” to a lead response email. Wait… where’s the debate? Sounds like everyone’s in favor, right? Today’s leads are more like orders than they were just a few years ago – especially for used cars. 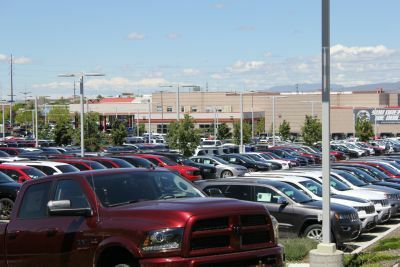 Plus, with the average dealer’s used inventory online, all the relevant information is available – including 32 pictures – and the internet price is at or very close to the selling price. An e-lead on a used car in 2018 is not a “request for more information;” it’s an offer to buy the vehicle, pending availability. If you understand this, then there is never a need to include alternate choices in your responses to used car leads. Ever. Now is not the time to make your prospect rethink their choice. Now is the time to sell them a car. What About New Car Leads? The top reason to offer alternates is to move the customer away from price when you’re not the low-price leader in the market. With every new car lead, you must assume that others in your area are getting the same opportunity to quote – including the dealer who is the knockdown, drag-out, low-price leader. By properly offering alternate choices, you can often move the prospect away from price while building trust at the same time. The alternate choices your CRM is automatically including as “similar vehicles” do not move the customer away from price; nor do they help build trust. In fact, these emails often do just the opposite in both cases. First, to move prospects away from price, you must offer alternates that are priced lower than their vehicle of interest. Unfortunately, with all its bells and whistles, the average expensive CRM is just throwing a bunch of vehicles at the prospect: a few priced higher, a few priced lower, and sometimes even one with no price. What is the purpose of this ill-advised strategy? To confuse the prospect? If you’re not the low-price leader, then including a base trim level of their vehicle of interest – as well as a better equipped, though less expensive used or certified vehicle – will provide them with a range of prices. Two of these prices (the base trim and the used vehicle) are likely lower than the single price presented by your market’s low-price leader. This, by the way, is another reason I recommend Dominion’s Web Control when dealers are looking for an effective CRM. Finding and adding the right alternate vehicles manually is quick and simple in Web Control. This means you can always send the right email – one that will help move the prospect away from price and build some necessary trust. Wait, How Does This Build Trust? When you include vehicles that are priced above the vehicle of interest, you appear to be trying to upsell the prospect. However, when both alternates are priced below their desired vehicle, you give the impression of being more helpful and trustworthy. After all, you’re trying to down-sell them, aren’t you? If you’d like to learn how to create the best internet sales processes for your dealership or group, take 73 minutes and watch our free recorded webcast: How to Create the Best Internet Sales Process Ever! Or, if you’d prefer to digest these lessons in bite-sized pieces, you can watch the 14-part video series on SteveStauning.com: How to Create the Best Internet Sales Processes Ever – Video Series.